The official Batman v Superman: Dawn of Justice logo, edited and improved since the film’s announcement at Comic-Con. Scheduled for release on May 6, 2016, Warner Bros.’ first major expansion into a shared cinematic universe will arrive in theaters. Batman v Superman: Dawn of Justice will continue the story began in 2013’s Man of Steel. Unlike most superhero sequels, which seem to be stand-alone narratives with loose ties to one another, this chapter appears to be forming a single, long tale that will affect future films and result from the actions taken in its prequel. The primary title reveals the obvious: Batman and Superman, played by Ben Affleck and Henry Cavill, will appear. Not as readily noticeable for the less-informed is the fact that Wonder Woman, played by Gal Gadot, will also feature. The subtitle implies that the formation of the Justice League will be the culmination of this film’s plot. This may lead some to worry that the film’s ambition and large cast will weigh it down and not provide its individual characters with their fair due. However, this worry seems to only be present within superhero franchises. After the success of Marvel’s plan to introduce characters in their own individual films and then gather them together in one mega-blockbuster, the masses seem to say that DC has to take the exact same approach. Of course, if DC were to do this, many would decry them for unoriginality and “copying” Marvel. When non-superhero movies are announced with impressively-sized ensemble casts, no one ever hears, “This movie is too bloated, there is no way I will be able to learn about these characters and care about them before the final act.” Imagine this, “BvS” (as it is understandably being called) aims to tell a HUGE story with larger than life characters. This is just speculation now, but it seems entirely likely, based on the scale of the mythology and the amount of characters present, that this film could be longer than the standard 2-2.5 hour affair. When audiences sat down to watch The Fellowship of the Ring, they seemed to accept and attach themselves to its sprawling cast, even beyond the first nine characters denoted in the word “fellowship.” Before the movie even ends, two members of the fellowship are emotionally removed from the party. These sequences are well-known and beloved for their impact and performances. This duo, Gandalf and Boromir, are only two out of at least fifteen major characters that share screen time. Can the argument then not be made that, with good writing and performances, we might find ourselves attached to DC’s trinity and their supporting characters by the time the credits roll? Remember, if the cast is divided into three groups, one for each member of the trinity (Superman, Batman, and Wonder Woman), Superman’s cast is already established. Of course, his famous antagonist Lex Luthor will play heavily into the story despite only being referenced in Man of Steel. Luthor, played by Jesse Eisenberg, and whichever Lexcorp personnel Zack Snyder decides to include, will be the new additions to Superman’s corner. At the moment, rumor has it that Tao Okamoto (who is already confirmed as being in the cast) will be portraying Luthor’s assistant and bodyguard, Mercy Graves. So really, in a movie that follows a Superman-only origin story, the Big Blue Boyscout appears to only have two new characters. The rest of his ensemble includes the returning Amy Adams as Lois Lane, Laurence Fishburne as Perry White, and Diane Lane as Martha Kent. In a way, one could argue that “BvS” has simply traded Russel Crowe (Jor-El), Kevin Costner (Jonathan Kent), Michael Shannon (General Zod), and Antje Traue (Faora) for the more grounded, human side of Superman’s mythology. The first behind-the-scenes look at Henry Cavill as Clark Kent. Now, if most of the cast is comprised of characters traditionally associated with Superman, there are only a few major roles left to fill. From Batman’s corner, we have Batman himself and his trusted mentor, Alfred Pennyworth, played by Jeremy Irons. At the moment, no other Gotham characters are confirmed. Rumors have surfaced which say that a younger male actor is wanted to portray Nightwing in a scene or two, but they are not substantiated with good evidence. Many fans would love to see Commissioner Gordon, or other Batfamily personnel appear, but presently, only two have been announced. Additionally, from Wonder Woman’s corner, we have, well…Wonder Woman. No other characters from her “world” have been confirmed. If her role really is only supporting, like Scarlett Johansson’s Black Widow in Iron Man 2, then audiences have little to worry about in regards to another hero either getting in the way of the main two or not getting her fair share. This film aims to expand the Superman mythos while also establishing that he lives in a busy world, filled with other incredible beings such as Batman and Wonder Woman. The first official image of Ben Affleck as Batman, clearly influenced by Frank Miller’s The Dark Knight Returns. While no official image of Gal Gadot in the Wonder Woman costume has been released, crew members and onlookers have captured shots of her alter-ego, Diana Prince, while on set. Besides the main cast which has been revealed, a few other names have been confirmed to be involved. 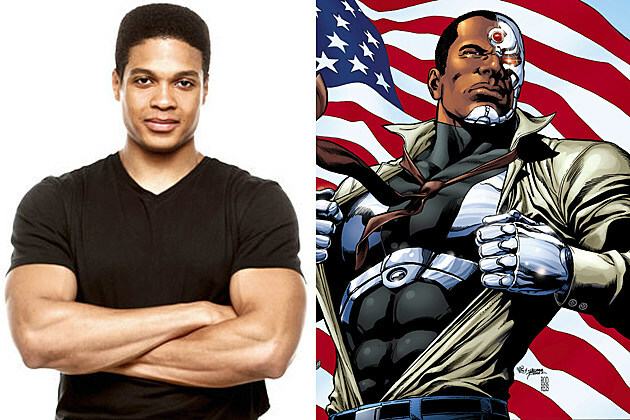 Perhaps most notable is the fact that theater actor Ray Fisher has been cast as Victor Stone, the athlete who becomes Cyborg. Keen fans may recall that in late 2013, Zack Snyder shot footage of a football game between Gotham and Metropolis football teams. Could it be, that in the movie universe, Victor Stone plays for one of these two? We look forward to seeing Fisher’s performance, especially since he may have won the role over Michael B. Jordan, of Fruitvale Station and The Wire. In addition to Ray Fisher’s Victor Stone, Callan Mulvey has been sworn to secrecy over the role he has landed. Rumors persist that he may cameo as a Batman villain, and he has responded coyly to such allegations. Scoot McNairy, who appeared with Ben Affleck in 2012’s Best Picture Winner, Argo, has also been announced for an unspecified role. Our personal bets peg him as Steve Trevor, Wonder Woman’s connection in the U.S. military. 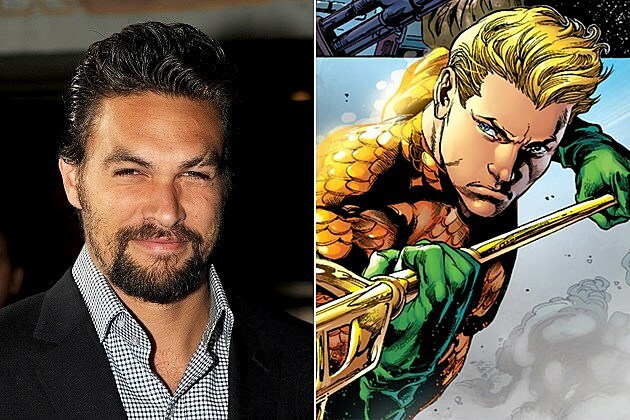 The biggest casting tidbit that excites us comes from the rumor that refuses to die; namely, that Jason Momoa, the Hawaiian actor best known for portraying Game of Throne‘s Khal Drogo, will cameo as Aquaman, the King of Atlantis. Maybe personal bias comes into play with this prospect, but Aquaman is a fantastic character who needs to be proven serious on the big screen. Jason Momoa, if he really is Arthur Curry, will be the perfect person to break the misconceptions created from decades of jokes at the character’s expense. Perhaps this rumor is too good to be true, but Jason Momoa has only fed such musings himself with cryptic responses to questions about his possible casting. Should all of these supporting roles actually be who fans are guessing, then the movie will indeed have a large cast. However, it should be noted that many of these last few characters will probably only feature for a couple of minutes, most likely near the end of the film, in order to clearly pave the way for the already-confirmed Justice League movie that will continue the story after the “BvS” conclusion. For now, we all have to wait almost two more years before seeing our favorite DC heroes meet. In the meantime, feel free to fly to Detroit in order to spy on the set and meet the cast. We assure you that this is a very wise use of your time. If, however, you choose to simply wait, remember that Batman v Superman: Dawn of Justice will debut on May 6, 2016.